Work on the Faithlie Centre in Fraserburgh is due to resume "shortly" according to the council report. Members of the Banff and Buchan area committee will discuss a report outlining the progress of some key revamps that have either already begun or secured funding. The document sets out the current status of the works in Banff, Fraserburgh and Macduff. Among the projects successfully complete is the conversion of the Meal House in Banff into a silversmith workshop known as the Smiddy, the restoration of the Home Bakery in Macduff and the regeneration work in Fraserburgh being showcased at a Scottish Parliament event last month. The report notes that other recent successes include the ongoing installation of a new plant at Macduff Harbour and North East Scotland Fisheries Local Action Group (NESFLAG) funding bid for a new slipway in Banff. Councillors will hear that work on the £1million Faithlie Centre in Fraserburgh would resume “shortly” after the previous contract went into administration. He also said the council’s bid to convert a former glass house in Banff into a horticultural would continue despite failing to secure funding. 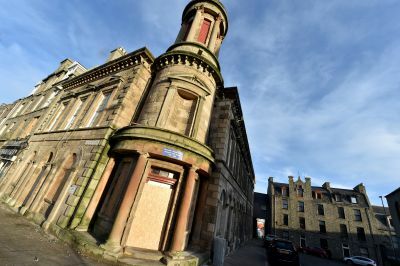 The report said fundraising to secure a £60,000 grant for a new CCTV system in Fraserburgh was continuing and £5,875 in funding went to a private developer for a feasibility study into potential conversion of the former Post Office on Duff Street, Macduff. Some of the potential projects the council is considering include the roll out of wi-fi for users of Banff Harbour, creating better links with cruise ship companies and an extension of Fraserburgh Fitness Centre. The Banff and Buchan area committee will be asked to note the contents of the report and ask officials to report back every six months when they meet on Tuesday.